Forum Mall, Koramangala set the city on fire with Break Free — The Ultimate Music Fest. An initiative of the mall, the fest was aimed at providing a platform to encourage budding musicians. The four-day long gala saw music enthusiasts from all over Bangalore leaving the audience and judges equally spell-bound with their gripping performances. The city’s best emerging artistes and bands were overwhelmed by the opportunity to flaunt their flair and be judged by the best in the music industry. The first day of this four-day long festival, had taken off with the classical music auditions and breathtaking performances by Krishna Prasad, Ragavendra, Anuradha and Akshatha, won musical guru Padmanabhan’s heart, securing them berths in the final. “By granting these upcoming musicians a stage to showcase their talent, Forum Mall has undertaken the noble endeavour of promoting classical music”, mentioned R K Padmanabhan. “I wish the contestants all the best in future and hope Forum Mall would carry on this initiative, every year,” he added. World music and fusion was the theme of the second day and the musical feats left judge Amit Heri convinced that ‘Namma Bengaluru’ has no dearth of talent. Bands Fused and Rhythmic Energy broke through to win a chance to perform at the grand finale. The third day of the musical fest was dedicated to rock music and the awe-inspiring feats impressed rock maestros — Galeej Gurus, who adjudged the competition. The end of the day, crammed with full blown performances, saw Hungry, Distortion Culture and The Roll Call advance to the final. 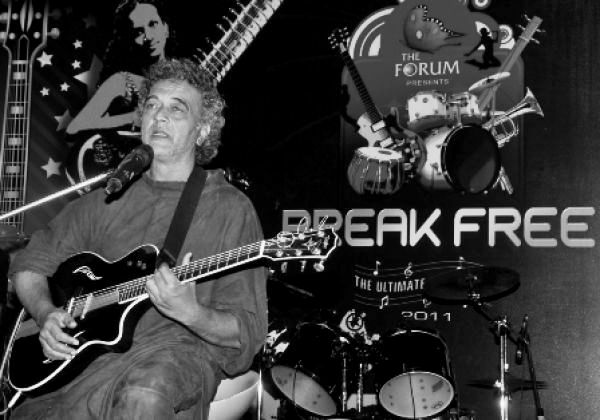 The grand finale of the competition granted the best talents from all genres of music, an opportunity to perform before the guest-ofhonour Lucky Ali. The man with the velvet voice also graced the occasion with his soulful numbers O Sanam and Sunoh. “This has been a tremendous opportunity for youngsters to showcase their talent. The challenge is not merely in winning but more importantly, participating with faith in one’s self. Music is always from the heart and can only express fine emotions”, says the musical legend. 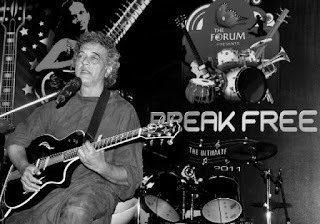 “I congratulate Forum Mall for organising this music fest and aptly calling it Break Free because it is only when you follow your own path, that you can reach out to like minded music lovers”, Lucky Ali adds. The music maestro broke-free with the best bands in Bangalore After some enthralling performances and cutthroat competition K V Krishnaprasad, Rhythmic Energy and Hungry; emerged victorious on the day and seized the trophies in their respective categories along with the chance to exhibit their talent live on the city’s music station Radio One. The prizes also included watches from Titan and a one day workshop to learn Logic Studio, one of the most the preferred music production software for composers and artists worldwide.